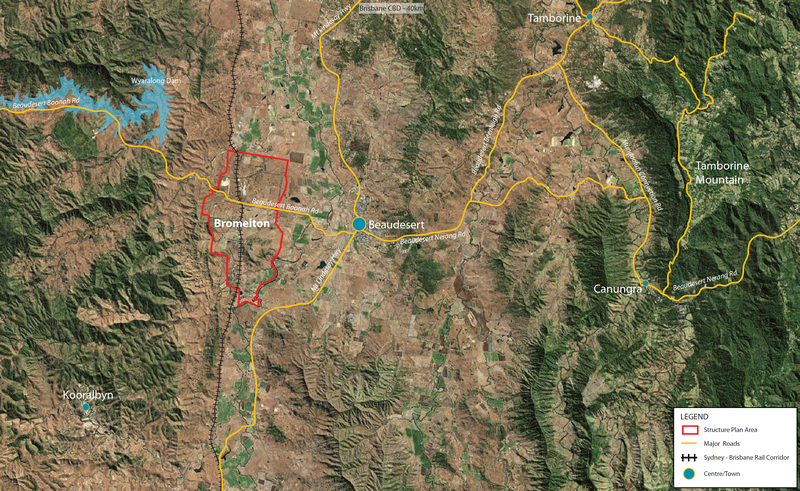 The Bromelton State Development Area (SDA) promotes economic development by providing for the growing demand for greenfield land in South East Queensland suitable for medium to large scale industrial activities of regional, state and national significance. With access to the standard gauge rail network along the Sydney-Brisbane rail corridor, and future connectivity to Inland Rail, the SDA is an ideal location for industries, such as freight and logistics operations, to access intrastate and interstate markets. Declared in 2008 and totalling about 15,610 hectares, the Bromelton SDA is located approximately six kilometres west of Beaudesert township. Approximately 1800 hectares of the Bromelton SDA is anticipated to be developed for industrial uses. The State Government (i.e. Coordinator-General) regulates land use within the SDA in accordance with the Bromelton State Development Area Development Scheme.